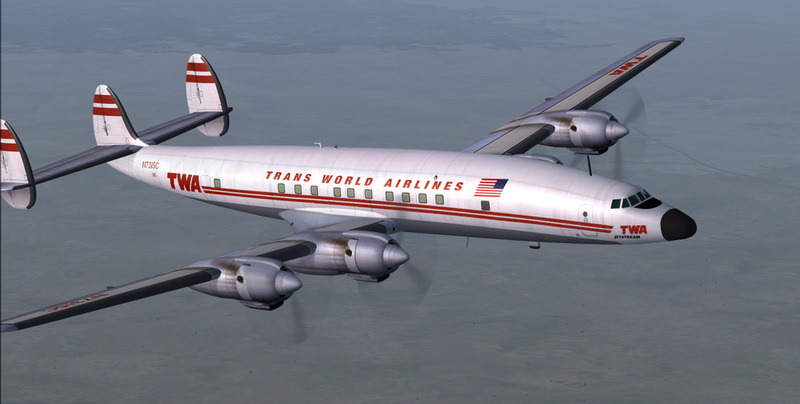 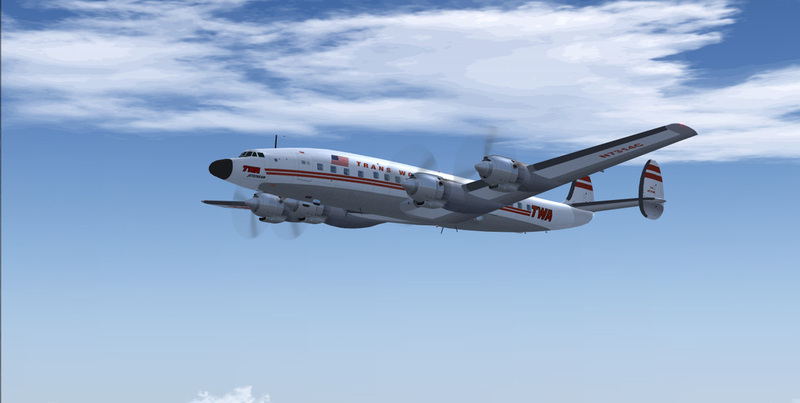 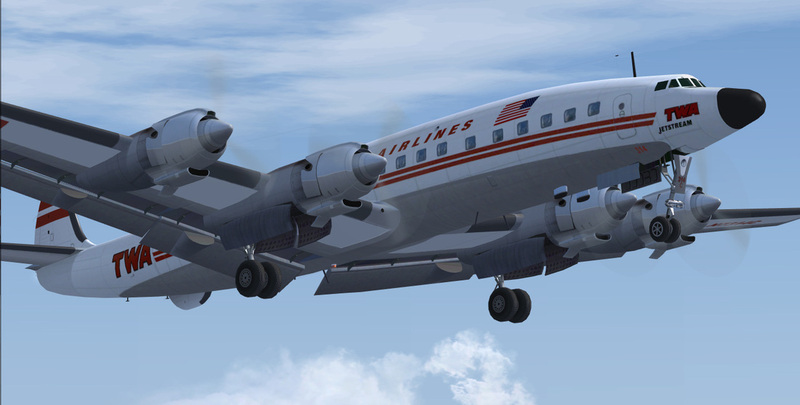 CN# 1002 was delivered in 1957 to TWA as N7301C "Star Of Wyoming" and left the fleet in 1961. 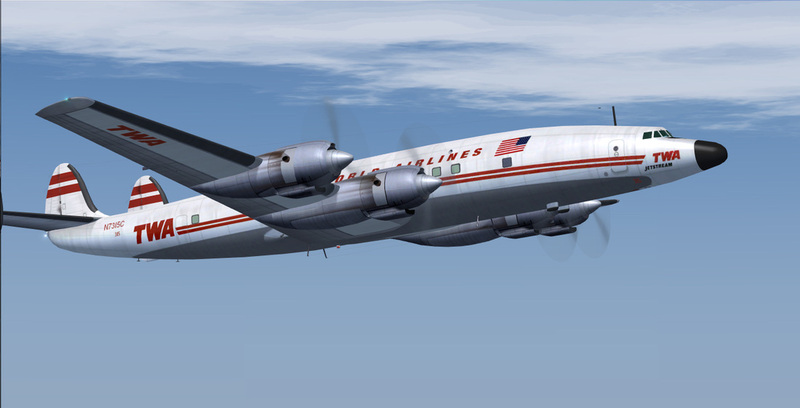 Aircraft was w/o in Bogota Colombia 1966. 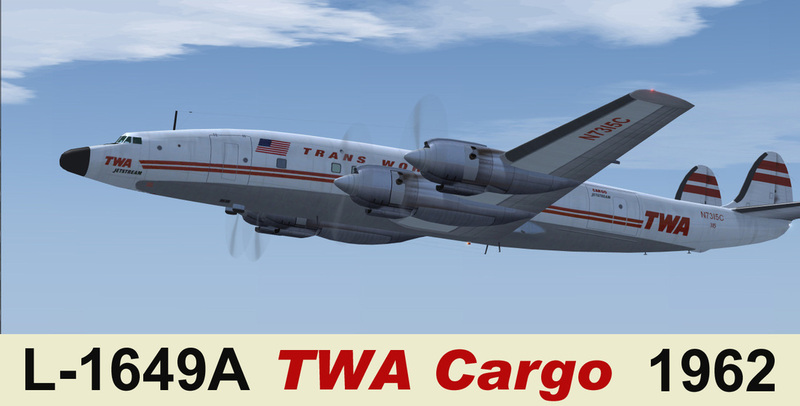 CN#1016 was built in 1957 and delivered to TWA in June 1957 as ship 314 "Star Of Shannon" and served TWA until Decemeber 1965. 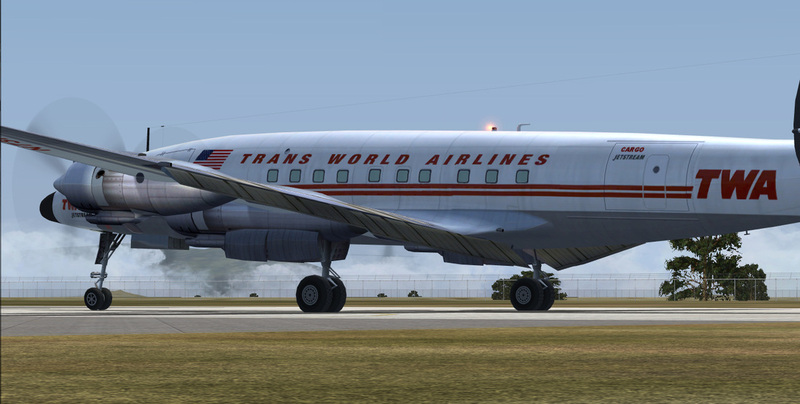 Aircraft was eventually broken up in Las Vegas Nevada in 1968. 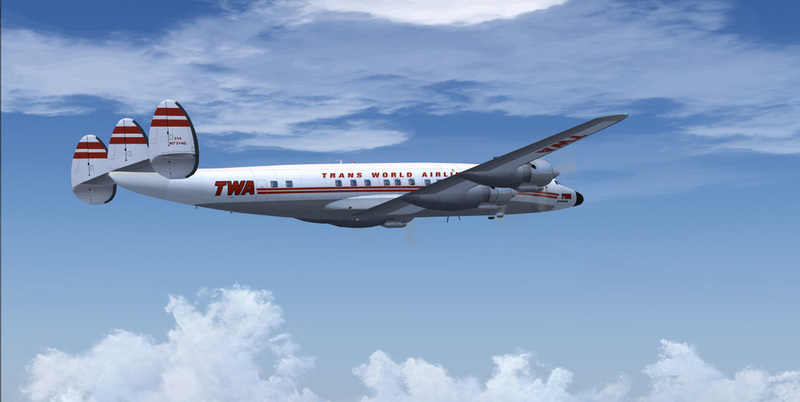 One of TWA's last three passenger-configured Starliners (along with N7318C and N7321C). 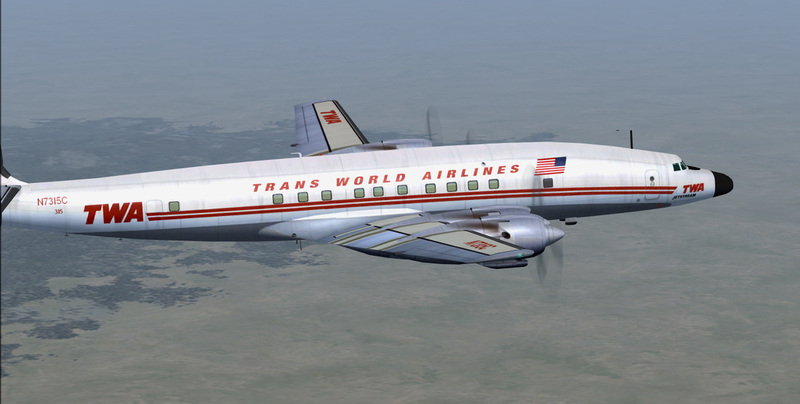 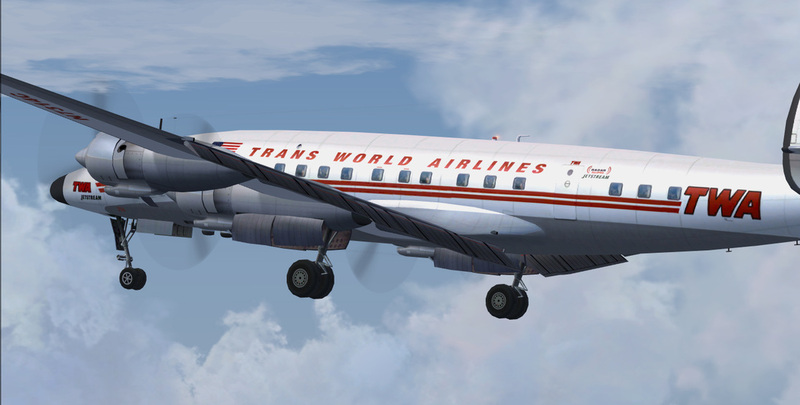 The 91-92 seat aircraft could be spotted by an extra window, seen below the "S" and "T" in the Trans World Airlines titles. 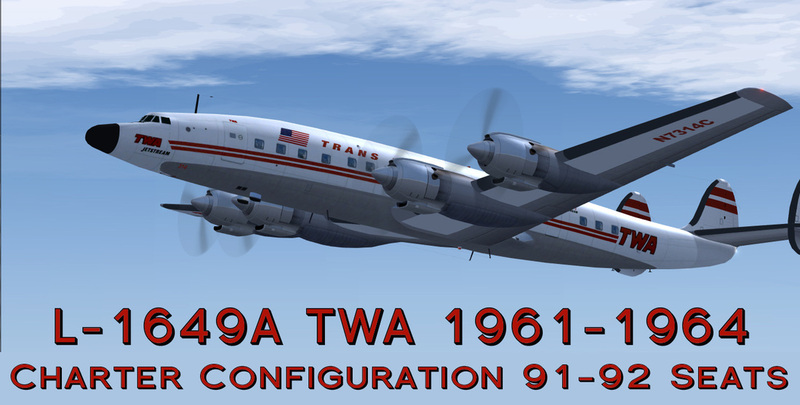 Textures are all DDS format.